Saptrishi Pain Relief Massage Oil that we offer is formulated using natural herbs under the strict vigilance of experts. We are named among the renowned Manufacturers and Suppliers of Saptrishi Pain Relief Massage Oil. Prior to its final dispatch, our Saptrishi Pain Relief Massage Oil is tested using the latest techniques so as to ensure that only the defect-free product reaches the customersâ�� end. 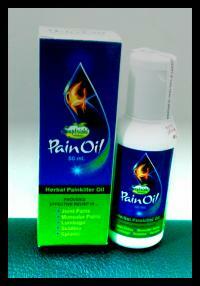 One can obtain Saptrishi Pain Relief Massage Oil from us in small as well as bulk quantities. We offer to the clients, the most effective Dard-E-Chhoo Instant Relief Oil. This is a herbal formulation that relieves you of pain instantly whether headache or muscular pain. Moreover, it is also effective for joints pain. Saptrishi’s Pain Relief Oil is enriched with natural herbs and essential oils and gives instant relief from any kind of pain. It improves body function, increase strength and flexibility. It is formulated under hygienic conditions and therefore, it is free from any foreign material. © Copyright 2009 - 2010. Saptrishi Herbals Pvt. Ltd.